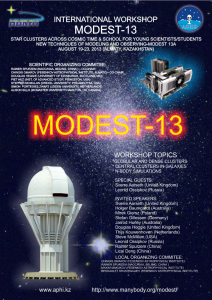 During August 19-23, 2013 Fesenkov Astrophysical Institute hosted the International Workshop MODEST-13. 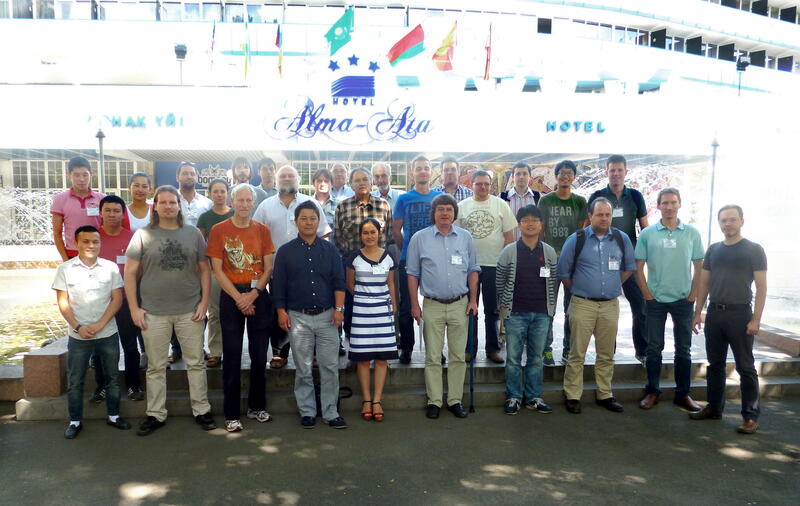 The MODEST (MOdeling DEnse STellar systems) is a loosely knit international collaboration between various groups working in stellar dynamics, stellar evolution, and related areas. 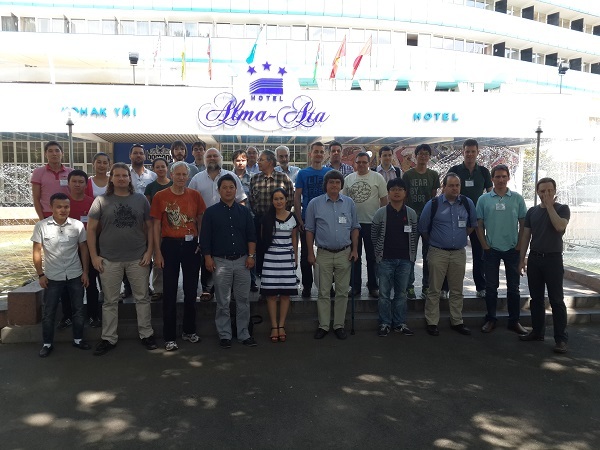 One of the main activities of the collaboration is to provide a software framework for large-scale simulations of dense stellar systems, in which existing codes for dynamics, stellar evolution, and hydrodynamics can be easily coupled, and place them in the appropriate observational context. MODEST-13 is the thirteenth workshop within the MODEST initiative, the ﬁrst major MODEST meeting in central Asia. The booklet contains the workshop program and abstracts, and might be downloaded here (PDF).